Commodore Larry L. King previously served as Vice National Commodore. Prior to that he was Deputy National Commodore, Mission Support and Atlantic West region, overseeing the activities of six Auxiliary District Commodores in CG Districts eight and nine. He is a former District Commodore and District Captain in Coast Guard District Eight, Coastal Region. He graduated from University of Rhode Island with a degree in Political Science with an emphasis in Constitutional Law. His graduate education is in International Relations from George Washington University and the US Navy War College. He completed a graduate level program in Environmental Science at the University of California. Commodore King served in the US Navy both as an enlisted man and a Commissioned Officer. He completed Nuclear Power Operator training and served in both the Nuclear Submarine Force and on surface ships, specifically in the Cruiser/Destroyer Navy. He was a proven sub-specialist in Propulsion Engineering and Anti-Submarine Warfare. Commodore King served as a Commanding Officer both afloat and ashore. He attained the rank of Captain before retiring. Commodore King worked in the private sector after leaving the Navy and was Director of Quality Engineering at Ingall’s Shipbuilding Corporation for seven years. He joined the Auxiliary in 2002 and has held a wide range of elected and appointed positions. He is a qualified Boat Coxswain and Qualifying Examiner. 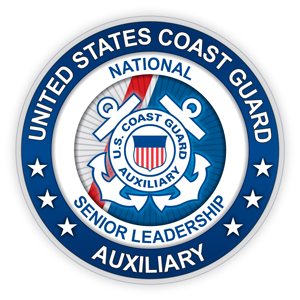 He is AUXOP qualified and has earned the Recreational Boating Specialty Device. Commodore King and his wife Carole reside in Pascagoula, Mississippi.